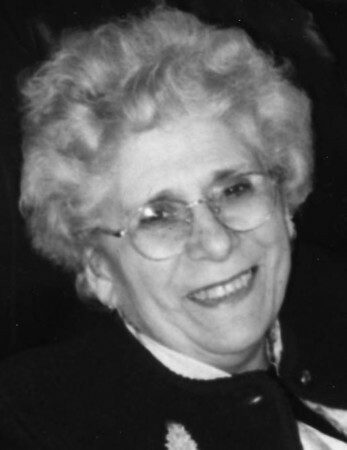 Violet Bogosian Galazan, 92, of New Britain, passed away on Tuesday, Aug. 21, 2018, at home surrounded by her family. Violet was born in New Britain, on June 23, 1926. She was the daughter of the late John Bogosian and Maritza (Deroian) Bogosian Ohanesian. She was predeceased by her parents and her sister, Anna Sadoian and her husband, Miron Sadoian of Miami, Fla.
She leaves her husband of 61 years, Peter Galazan, three children, Victoria Galazan, Antony Galazan and Julia (Robert) Nattrass, three granddaughters, Alexandra Nattrass, Grace Galazan and Ruth Galazan, her niece, Jennifer Sadoian of Miami, Fla., and many dear cousins. The family wishes to thank her amazing home health aide Renata Kluska who provided loving and compassionate care to Violet and her family during her illness. The family would also like to thank Margaret Kozak, Marta Posluszny, Krystyna Kaczmarczyk and Baisa Marek who were invaluable to Violet during her final weeks. While Violet was under Masonicare Home Hospice, she received loving support and care from Nancy, Laura, Dawn, and Sarah. Violet will be remembered for her devotion to family, friends and her church. She was proud of her three children. Her support never wavered when it came to her family. She was always fun to be around. Even during difficult and challenging times, she managed to keep smiling and stay upbeat. She retired from the State of Connecticut, Department of Motor Vehicles in 1989. She loved her work there and received many accolades for her patience in handling challenging transactions. She was a lifetime member of the Armenian Church of the Holy Resurrection. She was an active member of the Women’s Guild and served as the Treasurer for many years. She was also very active in the Seniors Group and loved spending time with her dear church family. She was a member of her 1946 New Britain High School class reunion committee. Violet loved seeing her former classmates. She was very proud of the scholarship her class was able to provide graduating NBHS seniors. She loved to travel and find adventure wherever she went. Peter and Violet traveled extensively and loved cruises and special trips to Italy and Germany. Posted in New Britain Herald, on Wednesday, 22 August 2018 20:36. Updated: Wednesday, 22 August 2018 20:38.